This week, we are spotlighting possibly one of the most diverse music groups on the planet, but more specifically, in France. 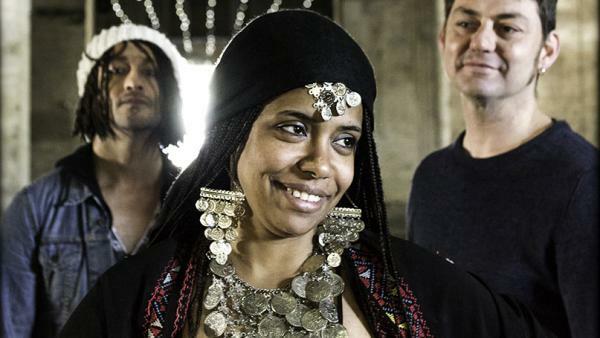 Members of Orange Blossom -- a French electronic / world music group has come out with heavy praise recently for their affinity of Turkish music. While this may seem a bit odd, it comes as no surprise to anyone that is familiar with the band. Orange Blossom consists of 3 members and was formed in Nantes in 1993 with their first album (which was self titled) Orange Blossom, came out in 1997 on the Prikosnovénie label, selling 15,000 copies. Possibly the most interesting aspect of the band is the diversity of the members. The lineup has included Pierre-Jean Chabot (known as PJ Chabot) on violin and Jean-Christophe Waechter (known as Jay C.) on percussions and vocals. In 1994, Éric (organ) joined the band and a first audio tape was recorded in September and their first album, Orange Blossom, then released in 1997. Before their second album came out, the group was influenced by ethnic and traditional music. They met and collaborated with several non-French artists, like Ivorian percussion group, Yelemba D'Abidjan, and Egyptian group, Ganoub. They toured in Egypt, France, and Belgium. Vocalist Jay C. left the band in 2000 and created Prajña. In 2002, percussionist Mathias Vaguenez and vocalist Leïla Bounous joined the group. The album Everything Must Change came out in 2005 on the Bonsaï Music label. The group’s popular hit in Turkey, “Ya Sidi,” was used in the soundtrack of popular television series Cukur (the Pit). When asked about Turkish music, drummer Arenas said he "loves" it and that he respects Turkish music and loves the ney -- an end-blown flute mainstream especially used in the Middle East -- as well the saz, a traditional Turkish stringed musical instrument. We hope you’ve enjoyed learning about The Diverse Foundation of Orange Blossom! Who is your favorite foreign music artist? Join the conversation below!